Matija Jama. 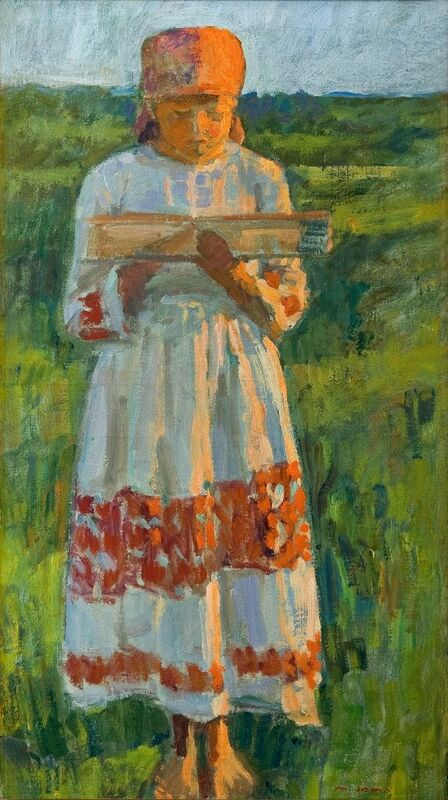 – He was born in Ljubljana and in 1892 he went to Munich to attend the painting school of Simon Hollosy. When he returned to Ljubljana he dedicated his time to illustrations. He received a grant in 1897 to study painting in Munich. There he met Rihard Jakopič and they frequently painted Munich townscapes together. Several years later he travelled and painted through Europe. He spent the winter of 1923/24 in Belgrade and then settled in Bled. Before the outbreak of the World War II he lived and worked in Ljubljana. 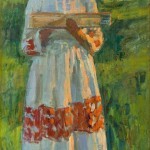 Jama exhibited his works in Ljubljana, but also at the First and Second Slavic Exhibitions (1900, and 1902). He exhibited in Vienna with the club Sava in 1904, and took part in the First Yugoslav Exhibition in Belgrade.